So we went to the beach again this morning. I know. Completely unoriginal. It gets worse. 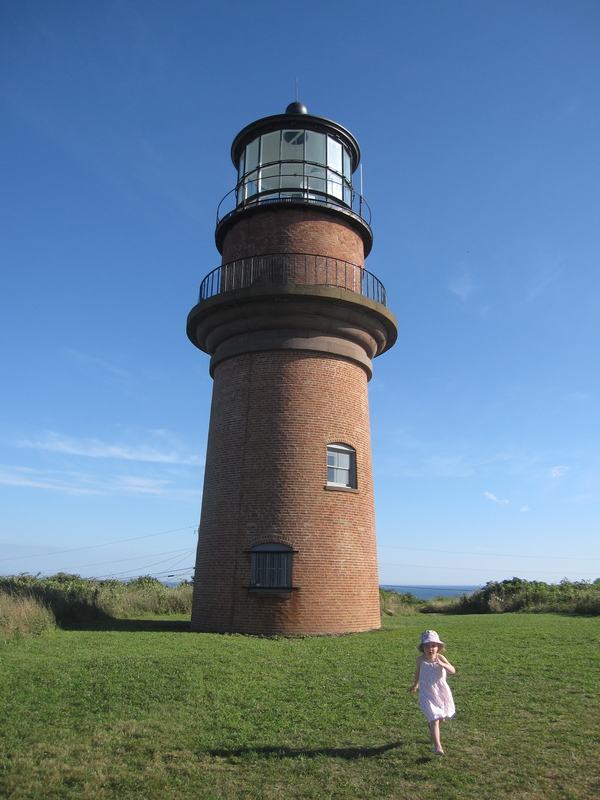 This afternoon, a group of us drank the Vineyard Koolaid — cold pressed basil juice, perhaps — completely, driving to Aquinnah, where we saw the clay cliffs, marveled at the spectacular beaches, and climbed iron stairs to the top of the postcard-perfect 19th-century lighthouse. Finally, bathed in honeyed evening light, we drove to Menemsha, where we picked up Lobsters at Larsens and took them home to eat on the deck. One thing only saved us from being total cliches: A member of our party’s front tooth — loosened two days ago by an accidental encounter with my daughter’s skull — popped out of her mouth and onto the floor while she stood in the doorway of the fish market. This mishap, mind you, was handled with perfect aplomb, my companion simply scooping her incisor (technically it was a cap) off of the cement and popping it back into place before anyone around us figured out what had happened. Still, I like to think this event made us stand out from the average gaggle of oyster-swilling sightseers and tan-calved, tourist-loathing islanders. None of them, as far as I can tell, were shedding their body parts on the quaint and pricey fish store floors. That was just us. Outliers all the way. Freebird! Having said all of that? It was a spectacular day. Dental disasters notwithstanding, I’m not a bit ashamed of being so obvious. Sometimes you just have to act the day-tripper, the rubber-necker, the lo-and-beholder. It’s no sin! At least I didn’t buy a tee shirt. Or, God forbid, a snow globe. Do they even make those for a place like this? I don’t know. The last one we acquired — at Hilton Head — fell onto MJ’s bedroom floor soon after we returned, breaking, and leaking fake-flakey fluid all over her sunny IKEA rug. That was the end of that experiment. 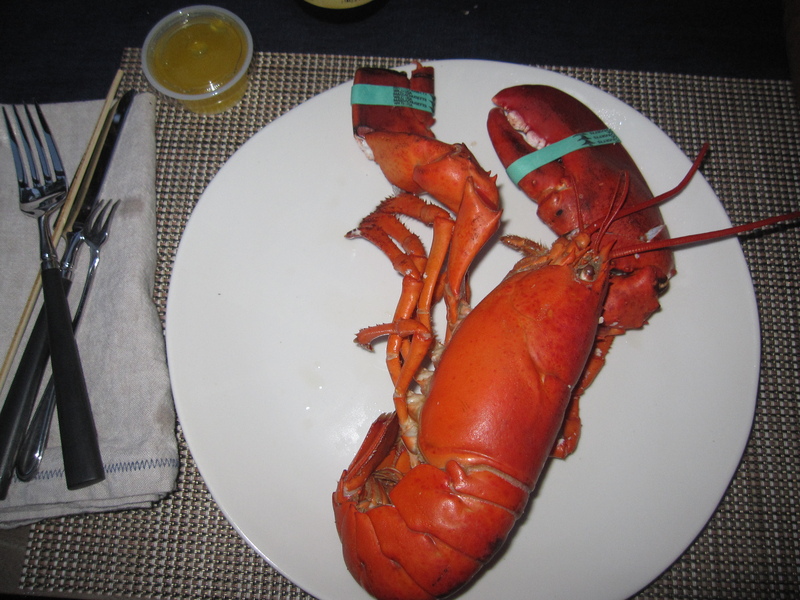 As I mentioned earlier, though, we did acquire a few lobsters. They won’t be coming home with us, however. Unless you count the extra pounds I’m putting on as a vacation souvenir. 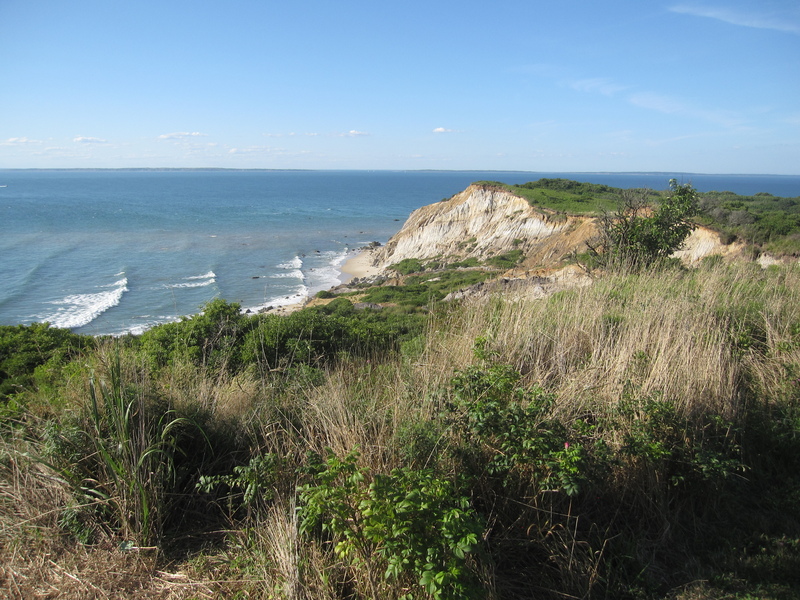 This entry was posted in Outings and tagged cliffs of aquinnah, lighthouse aquinnah, tooth popping out in fish store on August 7, 2012 by thumbstumbler. The monotony must be killing you.